As the voice of one of the animated characters in the film, naturally Kathryn Hahn was on hand for the premiere of 'Hotel Transylnania 3: Summer Vacation' on Saturday(June 30th) at the Westwood Village Theater in LA. 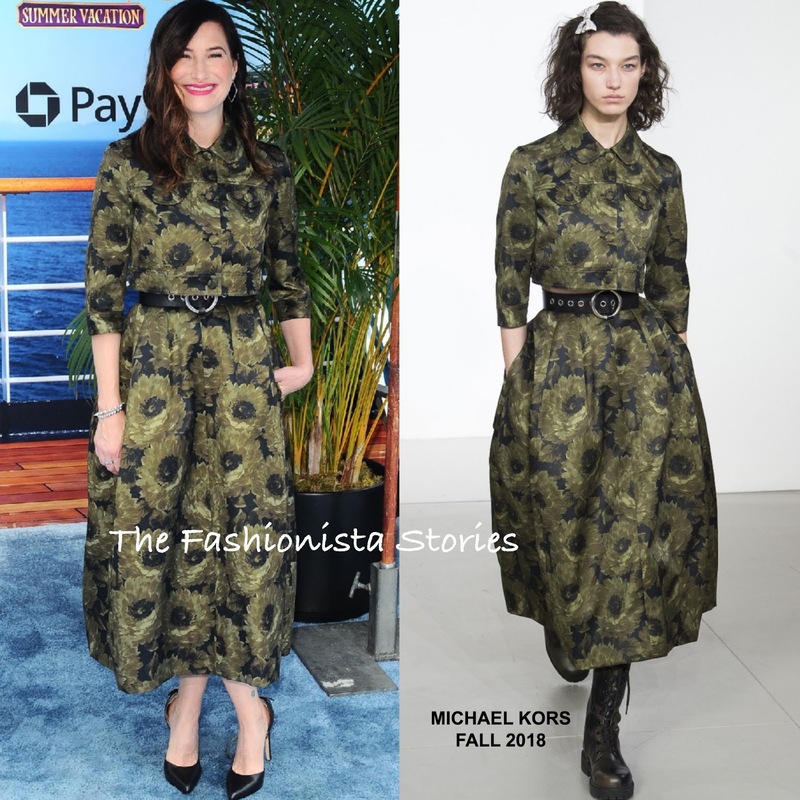 She hit the blue carpet wearing a MICHAEL KORS COLLECTION FALL 2018 green & black floral printed crop top with the matching midi skirt with a belted waist and side pockets which she utilized. Kathryn's look is very off season, however she did look great. She finished up with side parted tresses, fuchsia tresses and black pumps.